Is it just me or do these months seem to be flying by? There's quite a few things I have been loving and a mix of what they are, so let's get into it! 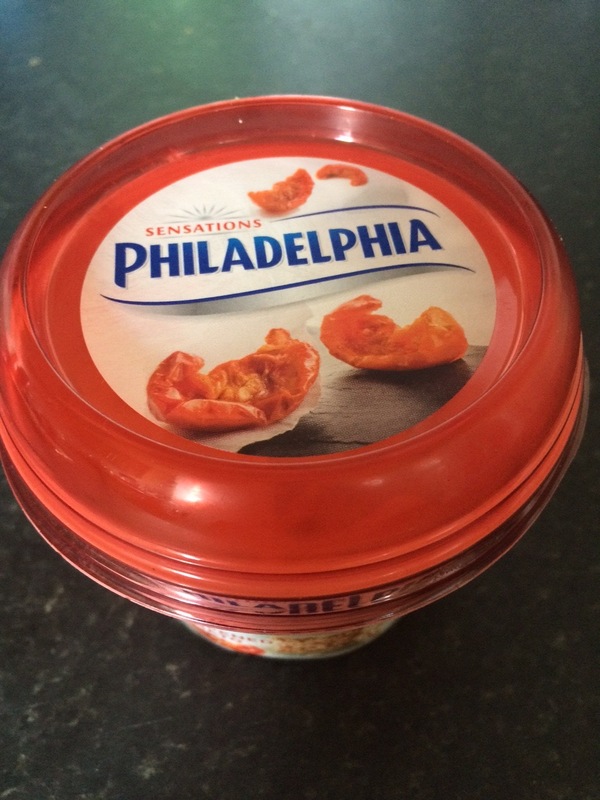 My foodie favourite of the month is the Mediterranean Tomato Philadelphia spread (of which there is no photo as A I have eaten it all, and B I could only get this whilst I was at home as I could go to a larger supermarket) and the new Philadelphia Duo Cremoso in the vine-ripened tomato flavour (can you see a theme here?). These are both super yummy and I've been having them on pumpkin seeds and oat ryvitas for lunch. 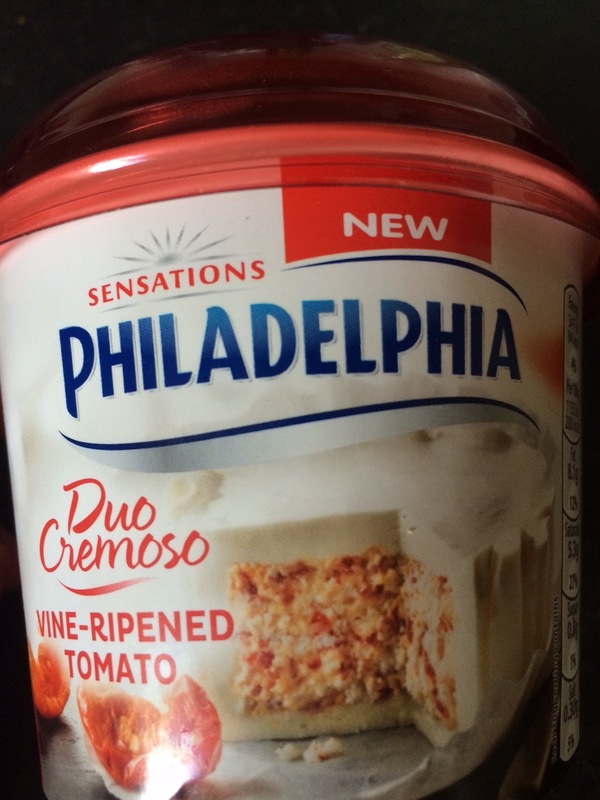 The Duo Cremoso is cream cheese with a mousse centre (where the flavouring is). Through spreading it, the two combine and I like the difference of textures together. My music favourite for the month is Shawn Mendes. I think he's quite an up and coming artist as I've now seen a few people talking about him, so I would keep an eye out! He's classed as 'pop' on iTunes, but even if you're not really into this type of music I would still give him a search and have a listen! My favourite tracks are Life of the Party, Stitches, Kid in Love, Something Big and Aftertaste but I really do like the whole album as there's a mix of song types! I have been loving this lipstick that I picked up from MAC recently, and is a cremesheen in the shade crosswires. 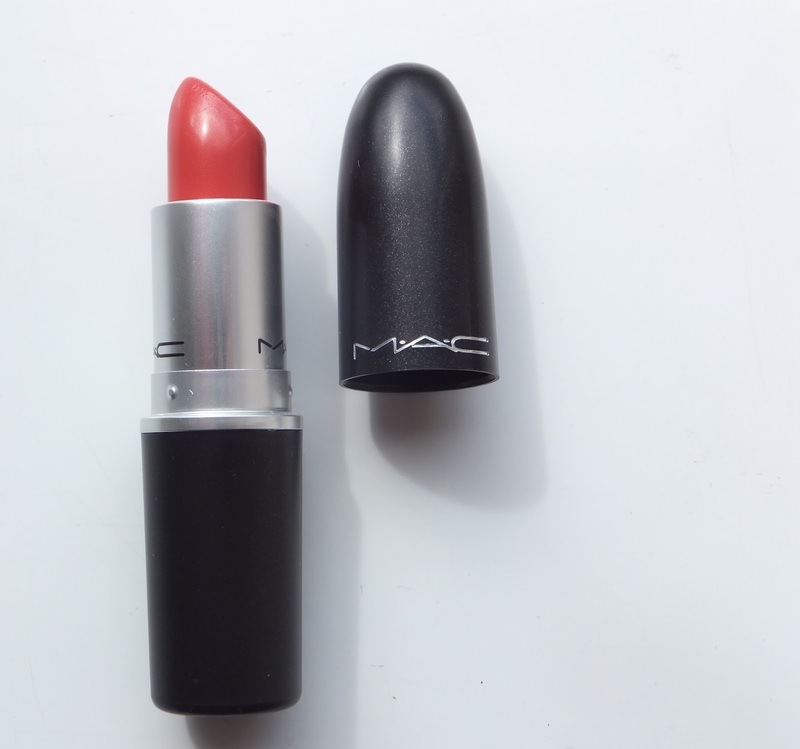 This is a really pigmented light red, which is perfect for the summer. As it's a cremsheen, it's not nourishing on the lips and doesn't leave them dry. I love wearing red lipstick but as it's summer I don't feel like I can do this as often, and so this is a happy compromise! 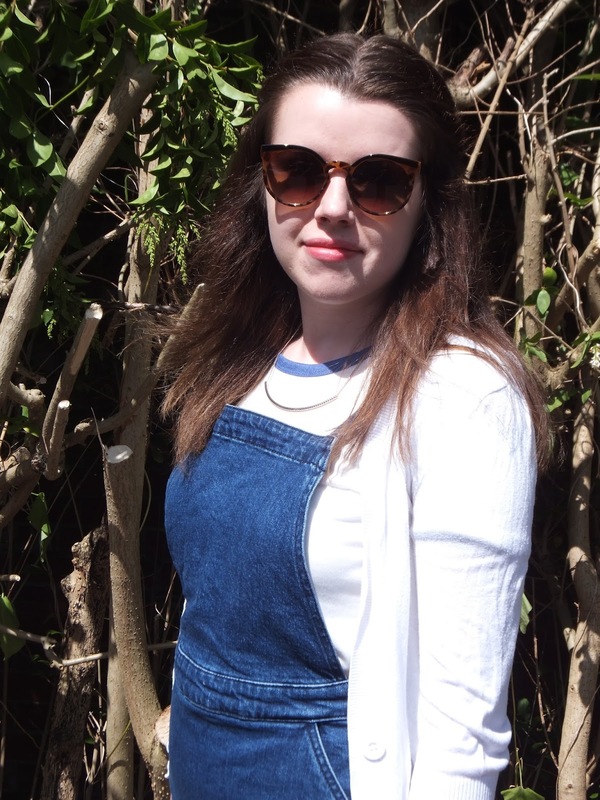 My fashion favourite of the month is this denim pinafore from ASOS, and if you missed it I recently did a more detailed post on exactly what I am wearing here. It's really comfy to wear and I think it's one of those outfits that looks really good and looks like you've put effort into it, when in reality all you have done is put a t-shirt on and then put this over the top! Whilst I was back home I took a trip into one of my favourite homeware shops: Bell's of Suffolk. 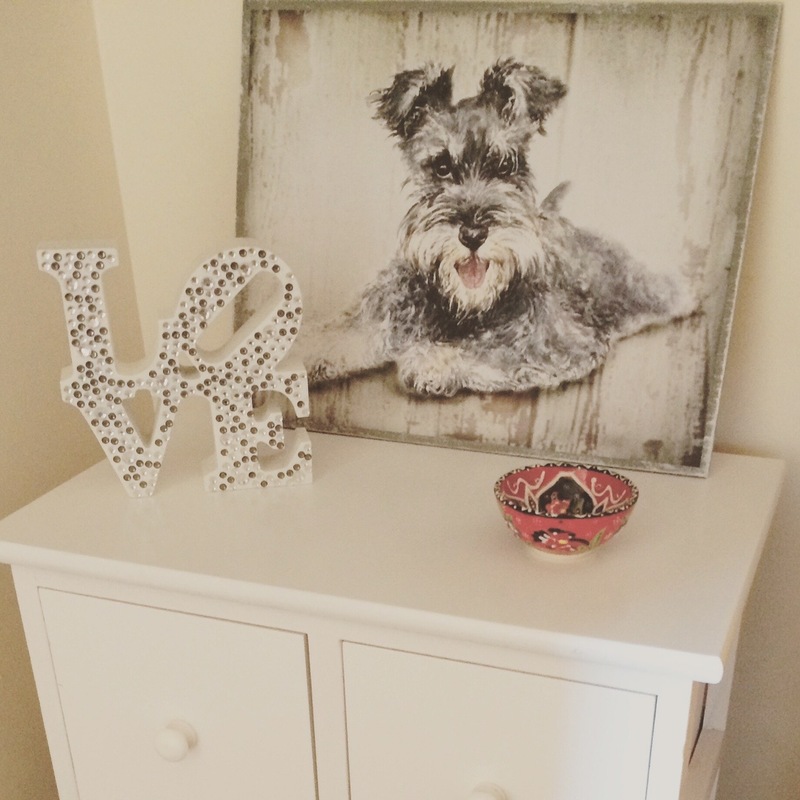 As I was wandering round I spotted this painting of a schnauzer and obviously I had to get it! It's painted by a local artist which made me like it even more. They had a smaller version on a card, but I fell in love with this one on the board. At the moment it's sitting on top of my white cupboard (which I also love) but I think that once I have moved next year this would look lovely in a Kitchen (yes I'm planning ahead already). 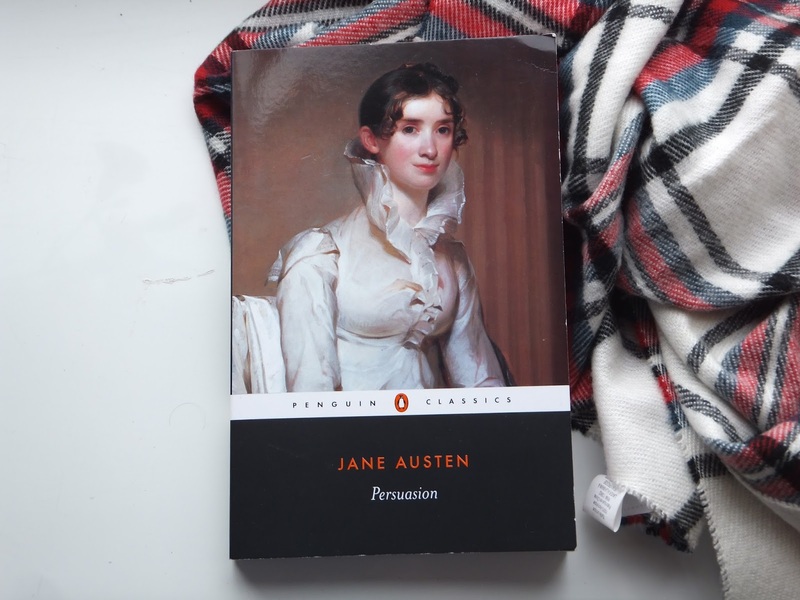 My reading favourite for this month is Jane Austen's Persuasion. I read this in preparation for one of my autumn modules, and I really loved it. The only Austen novel I have left to read is Emma and then I will have read them all! Now Austen is mainly known for Pride and Prejudice, which I do like, but I prefer Persuasion and I also really like Northanger Abbey. Persuasion focuses on Anne and her family, and various relationships/travels that are customary to a Austen novel! Whilst I was back home at the end of June/beginning of July I started to re-watch my One Tree Hill boxset. I absolutely love this programme and watching it again reminded me of this fact! For me, this is one of those programmes like Friends that you can watch and watch and not get bored of. Even though I've watched the box set through a few times and so obviously know what happens, I forget about the smaller story lines and genuinely look forward to see what happens next. As the episodes range between 35-45 minutes you can watch a few of these at a time, as you're not wasting a whole hour and so is excusable! 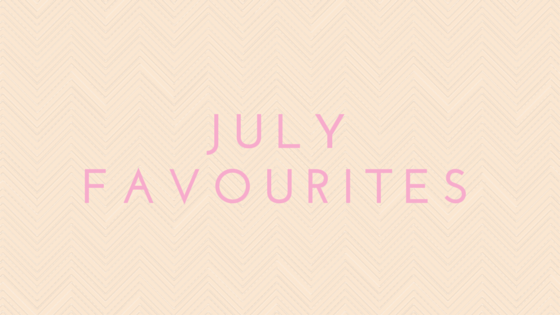 I hope you enjoyed reading a round up of my favourite things from the past month! What have you been loving recently? Hello there! 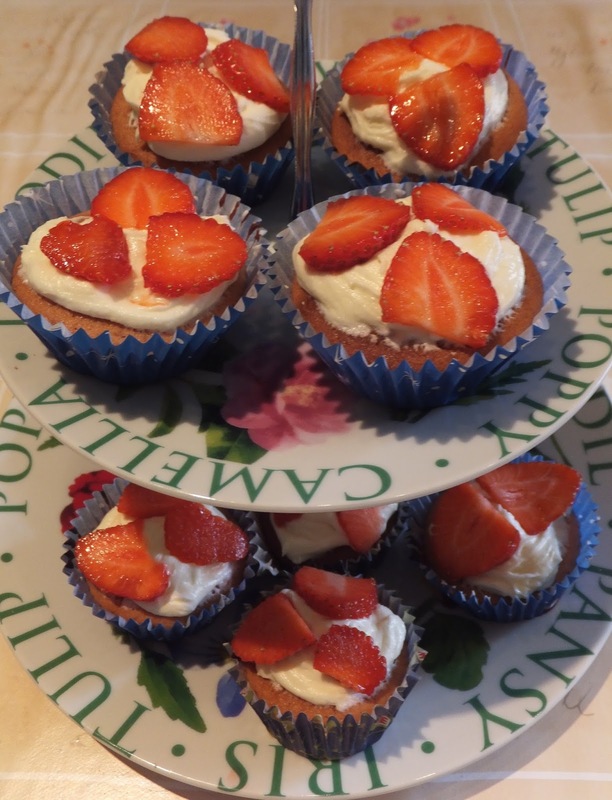 My recent post on lemon cupcakes seemed to go down really well, so I thought I would share another cupcake recipe with you! As it's summer (although the weather at the moment seems to be saying otherwise) I love that strawberries and raspberries are now in season. With this I thought why not combine two things that I love? 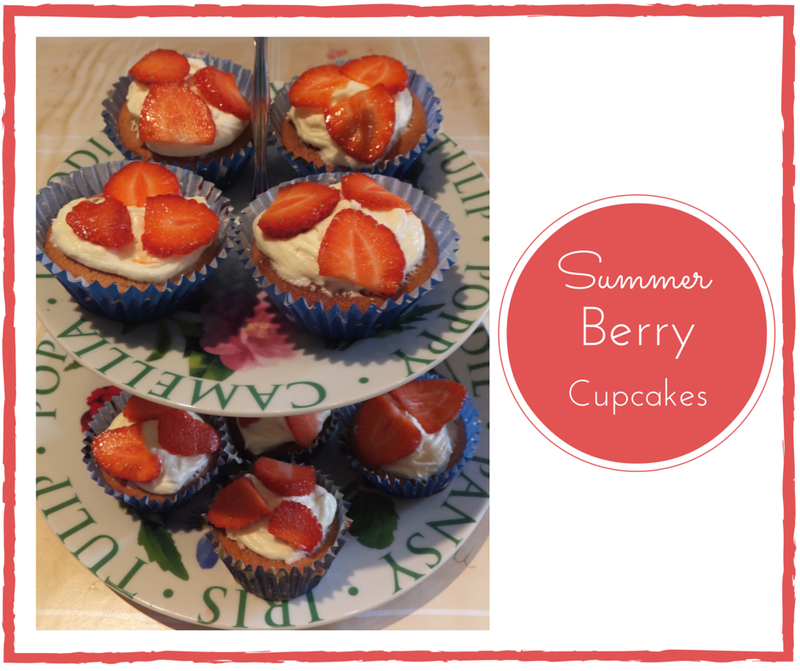 And so this is how my Summer Berry Cupcakes came about! 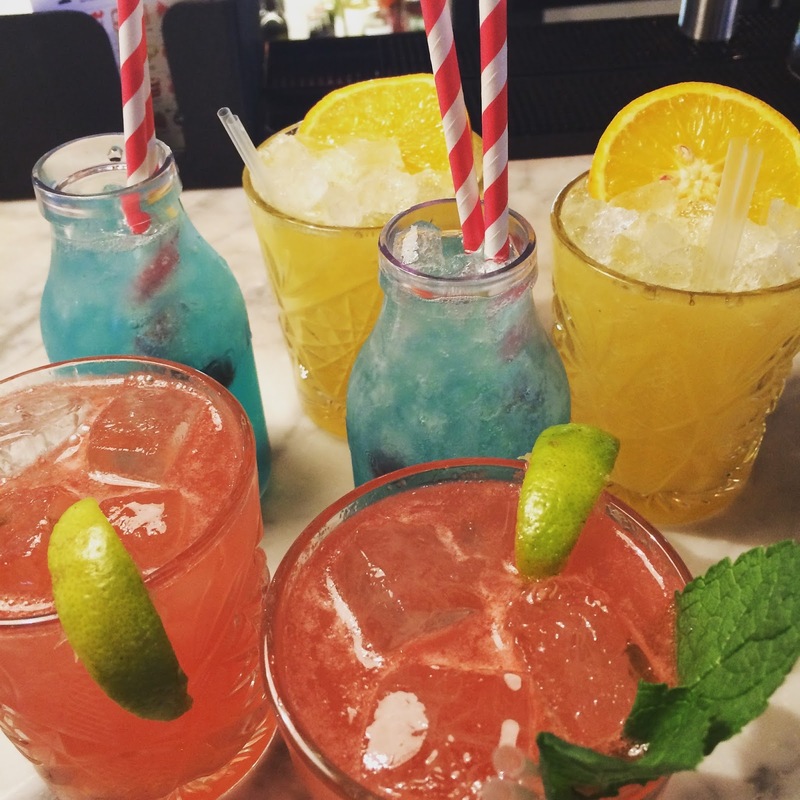 These not only look amazing but taste amazing too. 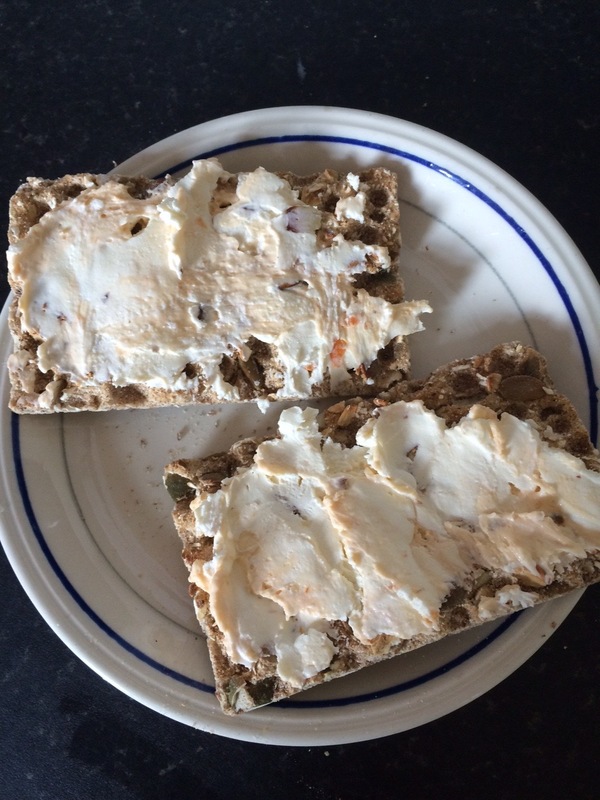 I found the basic recipe on the BBC Food site, but I've adapted it and changed it to fit in with what I wanted to do! 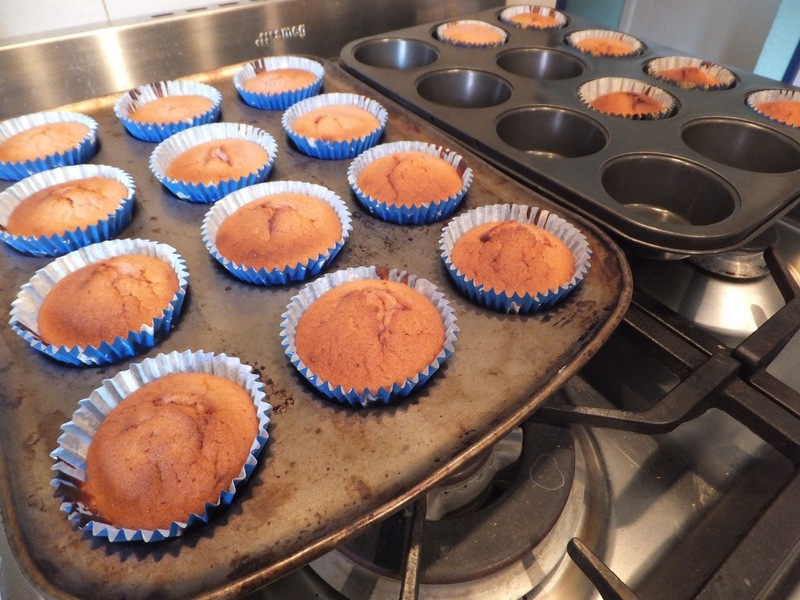 Preheat the oven to 180°C/350°F/Gas Mark 4 (you may want to do this later if your oven is quick to heat up) and line your cupcake tray with cases. 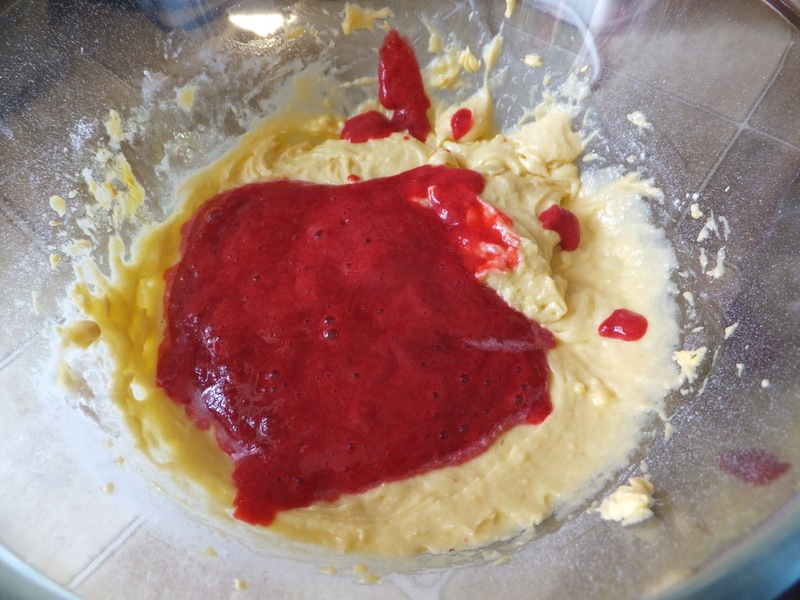 This mixture made 16 cupcakes. 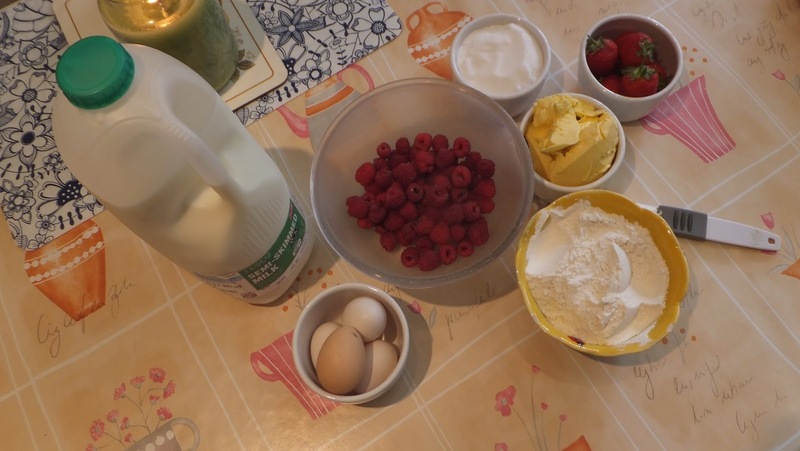 Put all of the ingredients for the cupcakes (except the raspberries) into a mixing bowl. 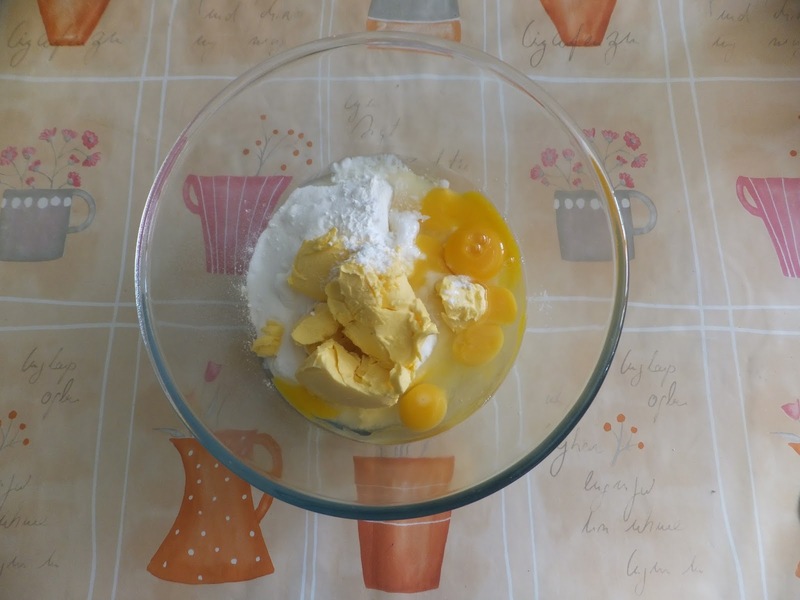 Mix these together either in a food processor or by using an electric hand whisk. Mix until all the ingredients are just combined. 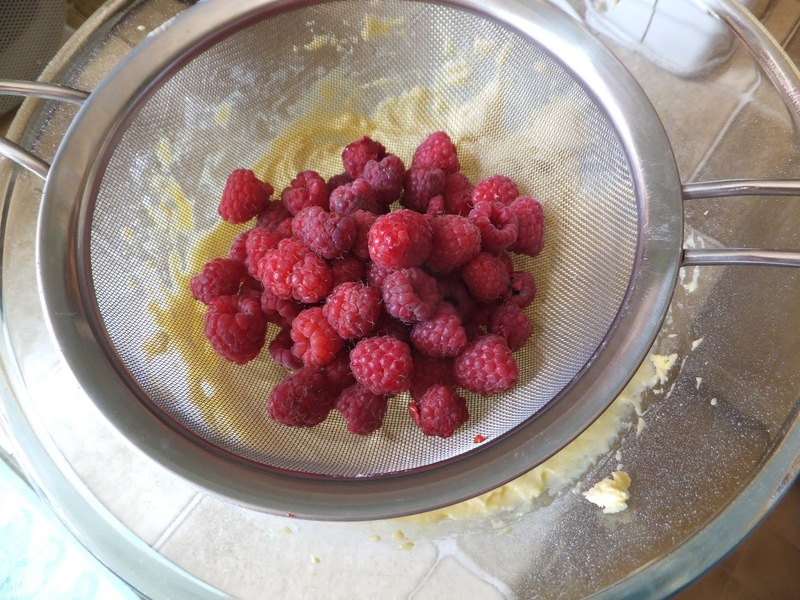 Then (on my dad's recommendation) put the raspberries into a sieve and press them so that the juice goes into the bowl. 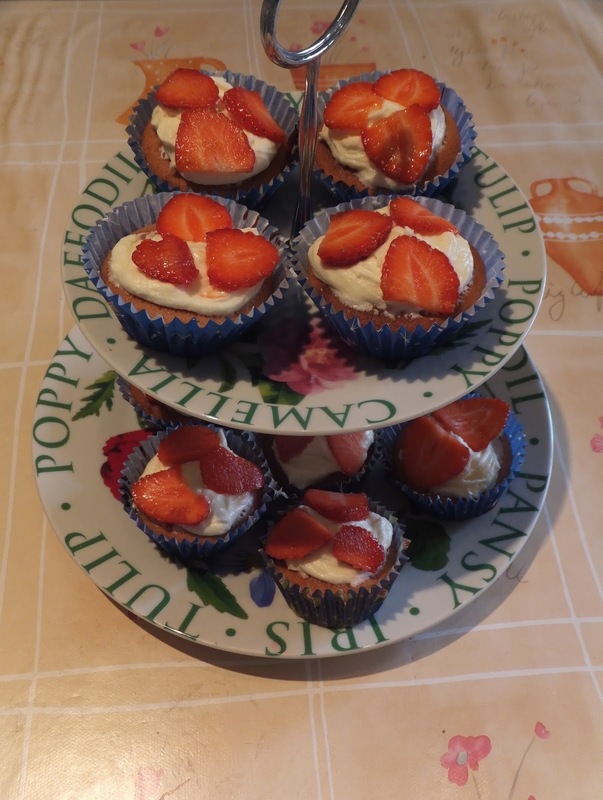 This way the cupcakes have the raspberry flavour but on eating a cake you won't come across a load of pips! 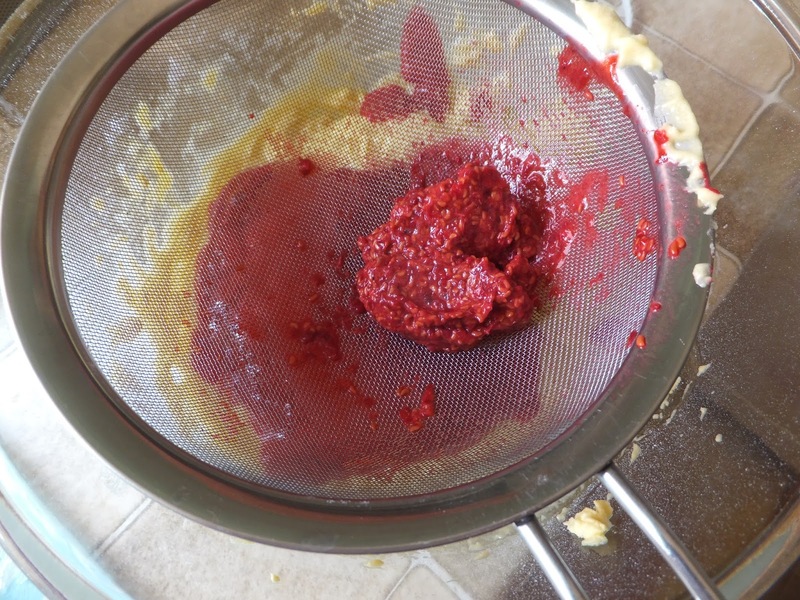 Once you have pressed all of the raspberries into the mixture, give this another mix with the whisk. 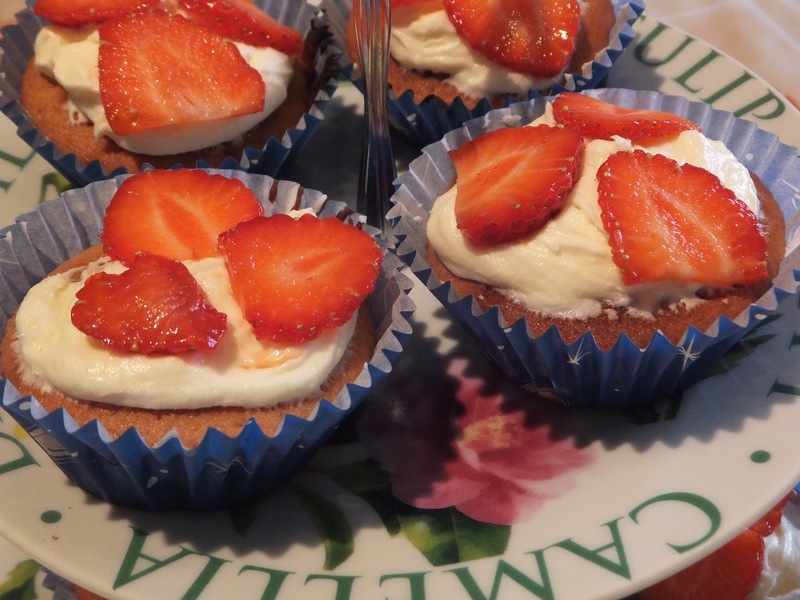 The raspberries not only give the cakes a flavour, but also a slight pink colour. 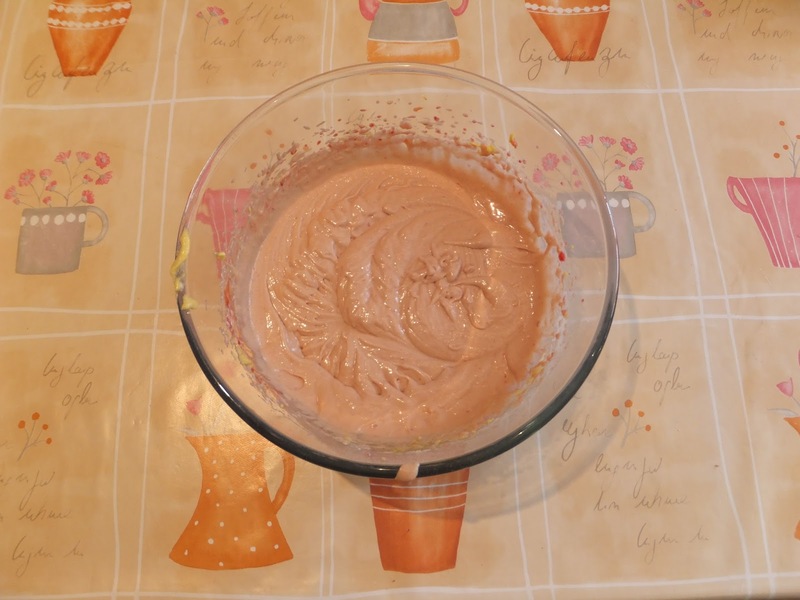 Spoon the mixture into the cases to about 2/3 full, and put in the oven for 15-20 minutes or until risen (if you can poke something like a small knife inside the cake and no mixture comes out then they are ready!) Leave to cool when ready. Once the cupcakes have cooled you can move onto the icing. I made simple butter icing and then sliced some strawberries to decorate the top with. It looks like a lot of effort has gone into making these cupcakes but they're actually really easy to do! If you are having a summer party or BBQ I think these would be perfect and will impress your friends. 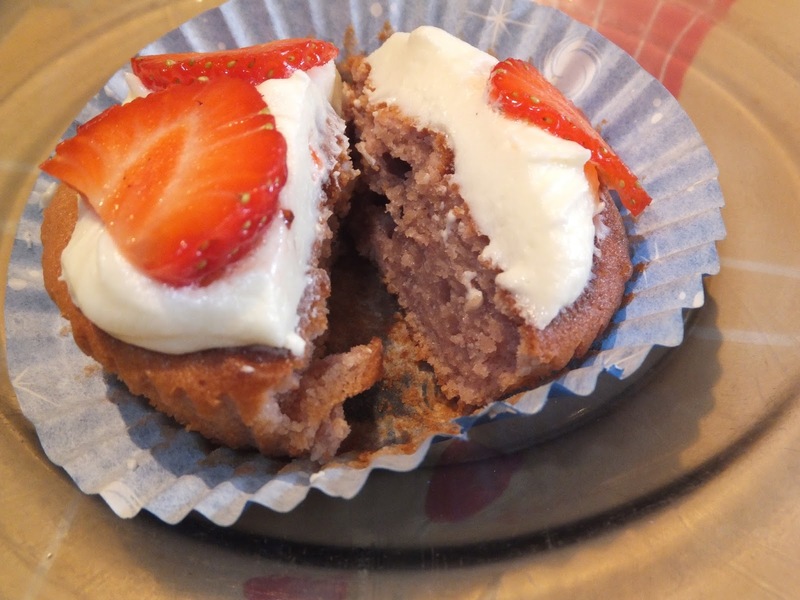 The mix of raspberries and the strawberries on top gave a lovely flavour and I know that I will definitely be making these again! As always if you have a go at making these I would love to see them just tweet me @jesslouisekeen! These are really easy to adapt to your own preferences and flavourings, so everyone can have a go! The Great British Bake Off is back on the 5th August so I'm sure I will be doing a few more baking posts before the summer is out! Hello there! I thought that I would do a bit of a different post today, that has a more fashion-esque feel. I'm not claiming to be some sort of fashion god, but I always like to see what people are wearing and to take inspiration from this for myself, and so I thought that I would share with you an outfit that I have been wearing a lot recently and loving! 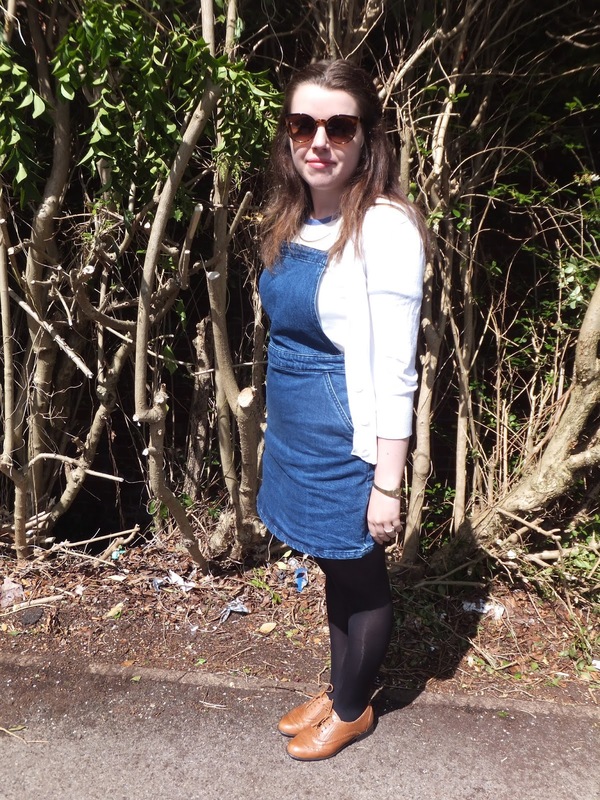 I found this Pinafore Dress on the ASOS website and fell in love with it! You may remember my summer wishlist post, where I talked about wanting a denim skirt. When I saw this pinafore I thought that this would be even better! I did try the skirt on whilst I was in Topshop a couple of weeks ago, but the sizing was a bit awkward so I didn't end up buying one. What I like about this pinafore is that the straps are adjustable, so you are able to adjust exactly where you want the front panel to be, depending on what you are wearing underneath it. Underneath my pinafore I wore this white t-shirt from Topshop, that has a blue lining round the neck and the arms. I have worn a longer sleeved white t-shirt underneath this so I know that I'll be able to wear this during the winter months too! I like the contrast between the denim and the white, and with this contrast t-shirt I like that the blue match together. 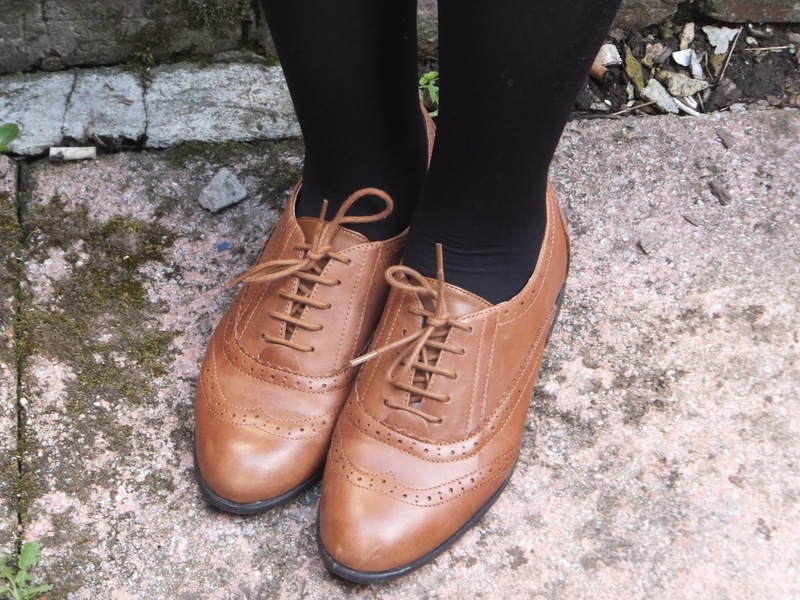 I paired this outfit with these brown brogues that I bought from New Look when I went to Meadowhall. I used to have a darker brown pair but as I'd worn them so much they were falling apart! I was after a pair of casual shoes that would be waterproof enough for the winter months in Sheffield! I know that I will get a lot of wear out of these as they will go with not only dresses and skirts but jeans as well. I managed to get these sunglasses that were also on my summer wishlist from Topshop. I really like the shape of these glasses, and when they're on it's like viewing the world through an instagram filter. I'm hoping that the sun manages to stick around for a few more months so I can continue to wear these. 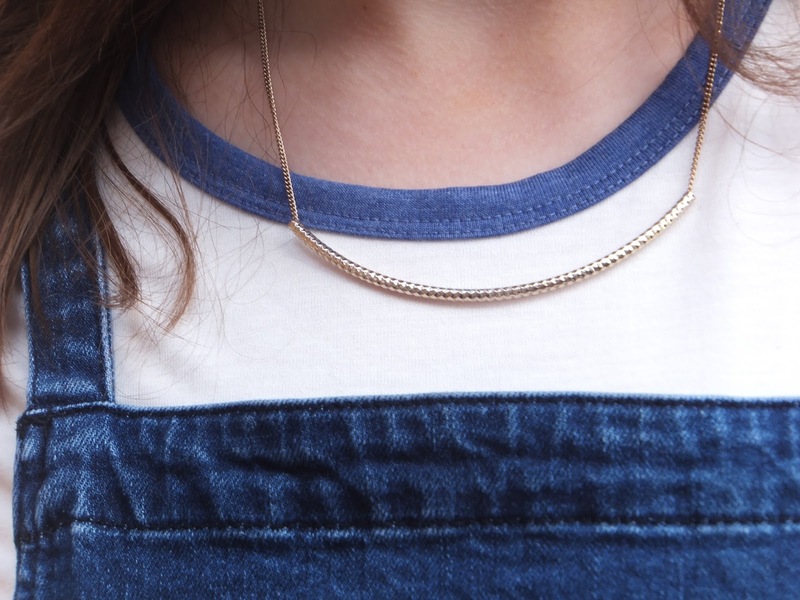 I couldn't find the exact golden necklace that I am wearing here as it's from Primark, but here is one from ASOS that I like! Recently I've enjoyed wearing gold jewellery, and so I have been wearing this necklace with a lot of different outfits. For this outfit as I want the focus to be on the pinafore, I wouldn't want to wear an overbearing necklace, but a dainty one like this gives it an extra touch. As the watch that I wear is gold, this necklace matches well! 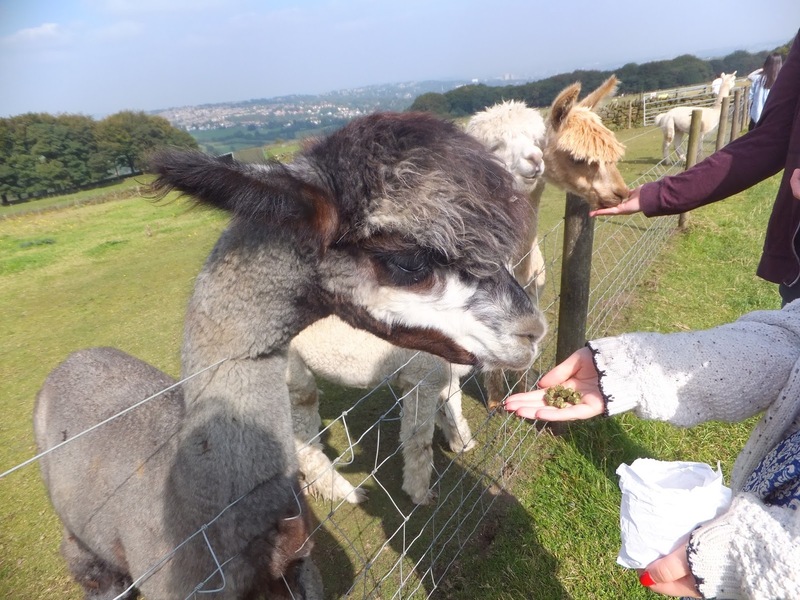 Although the sun was shining on this day, I was a bit chilly so I was wearing a 3/4 length white cardigan! I think that any plain cardigan would go well with this outfit, and this particular one I was actually given by Lisa as she didn't want it anymore! It was from Next originally, and I like the 3/4 length sleeves for the summer as there's a bit of coverage but it's lightweight enough so you don't get too hot. I know that today's post is a bit different but I hope you enjoyed it! Is there anything that you've been wearing a lot and loving recently? Hello there! 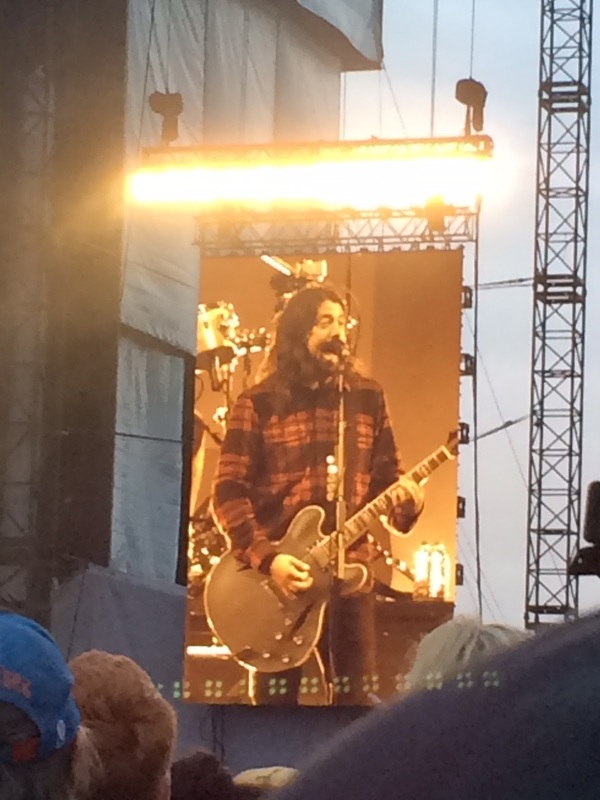 It's time for my second fortnightly catch up post- can you believe that it has been 2 weeks already? For the last two weeks I was back at home in Suffolk, looking after my grandad and the chickens/dogs/turkeys/rabbits and tortoise whilst my parents were on holiday! I really enjoyed spending some quality time at home, and although I could have done with a car to get around, I still managed to get up to quite a bit! On the first Tuesday I went out for lunch with Lisa in Bungay to Earsham Street Cafe. This was really lovely as I hadn't seen Lisa in quite a while, and I hadn't been to this cafe for a couple of years. Although it rained a bit, we managed to sit outside as they have a covering in case of bad weather and so this was a really nice way of being able to eat outside yet not getting wet! After lunch we had a wander round Bungay where we both picked up a few things, and had a genuinely lovely time. Wednesday evening saw Lewis and Bradley come over to mine, where we had an evening playing games on the Wii (I do have a video of them on Just Dance but I know that they would never forgive me for putting it up!). I really enjoyed being able to spend some more time with friends that I don't get to see whilst I am in Sheffield, and I rounded this up by going to visit Ned on the Thursday. 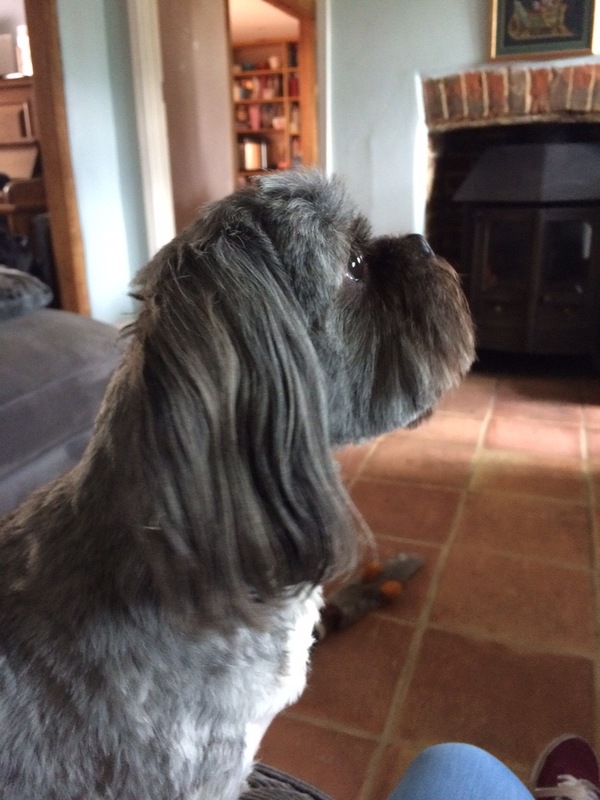 I also got to see his Lhasa Apso Phoebe who I hadn't seen for a couple of years, and oh my is she adorable. We took her out on a walk, and then after lunch I ended up having a play fight with her! (This is a normal occurrence with Tilly). 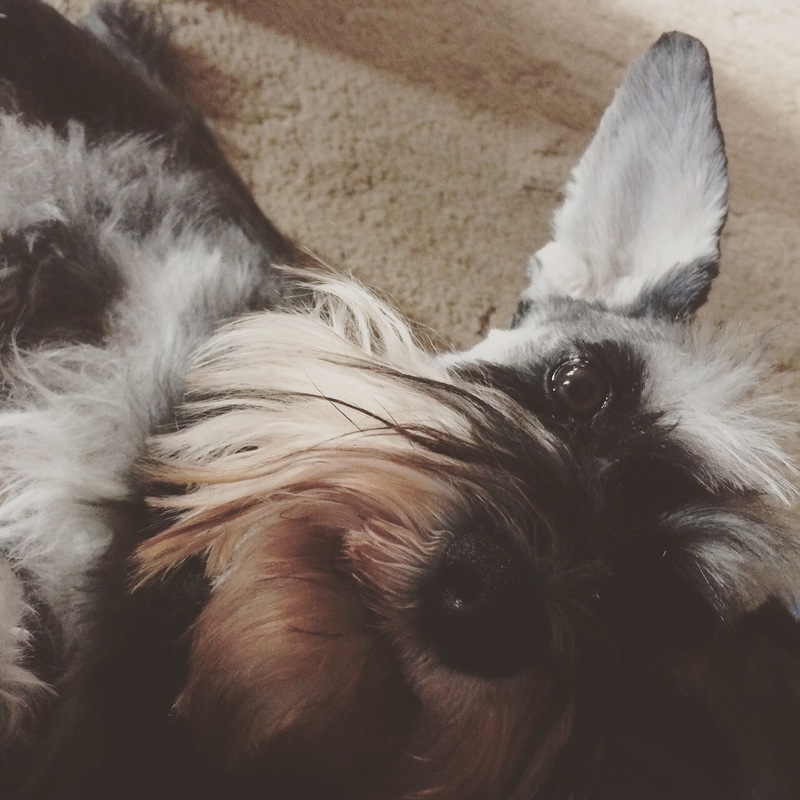 As I was at home for a lot of the fortnight, I was able to spend a lot of time with Tilly and Mitzi. I miss them both so much when I am away, and I really cannot wait until Tilly can come and live with Tom and I once we graduate as I always hate having to say goodbye to her! 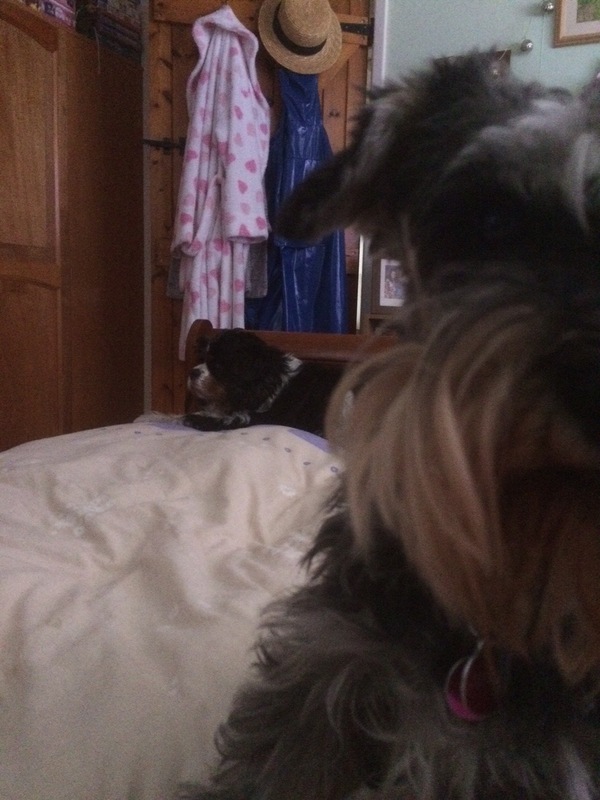 Both Tilly and Mitzi would come and sit on my bed with me in the morning whilst I had a coffee and watched The Hills! 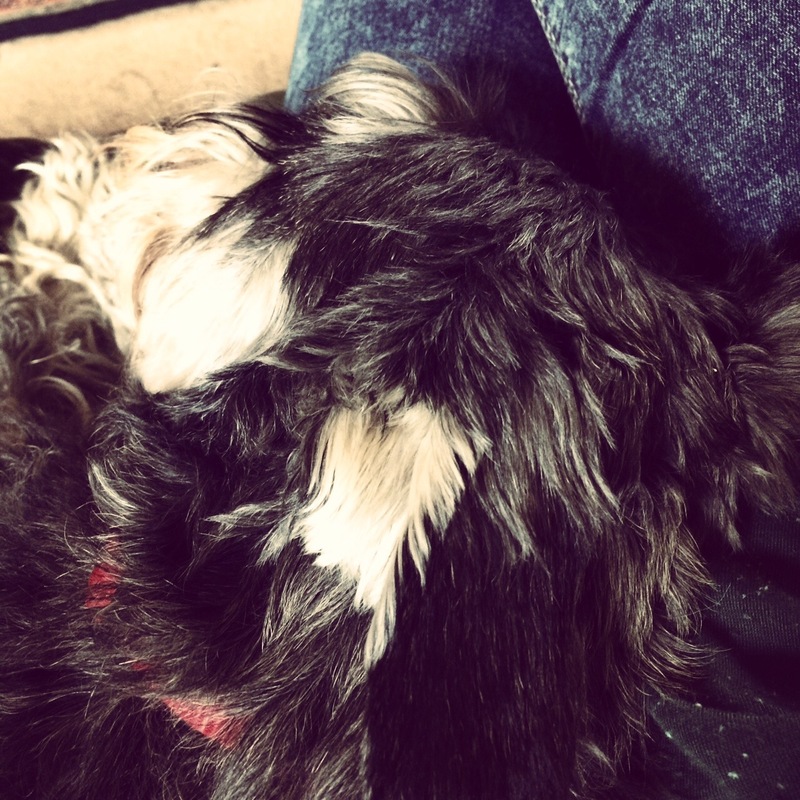 Tilly does like cuddles but isn't normally one to fall asleep on your lap. She actually fell asleep on my lap last week, and was asleep for about 2 hours meaning that I was stuck where I was for the duration, but I didn't mind! 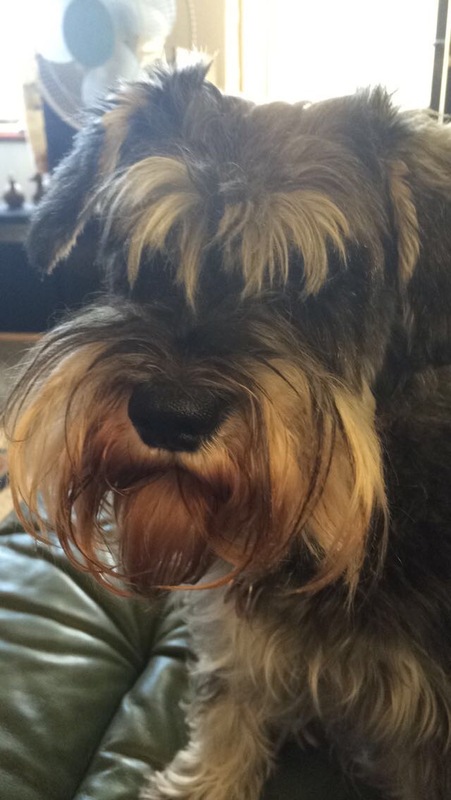 As you can see from this last photo at the end of the week Tilly had her haircut, and so looks more like a Schnauzer again! Tom had mainly been in Sheffield whilst I was at home, but he did come and visit for the weekend which was really lovely. 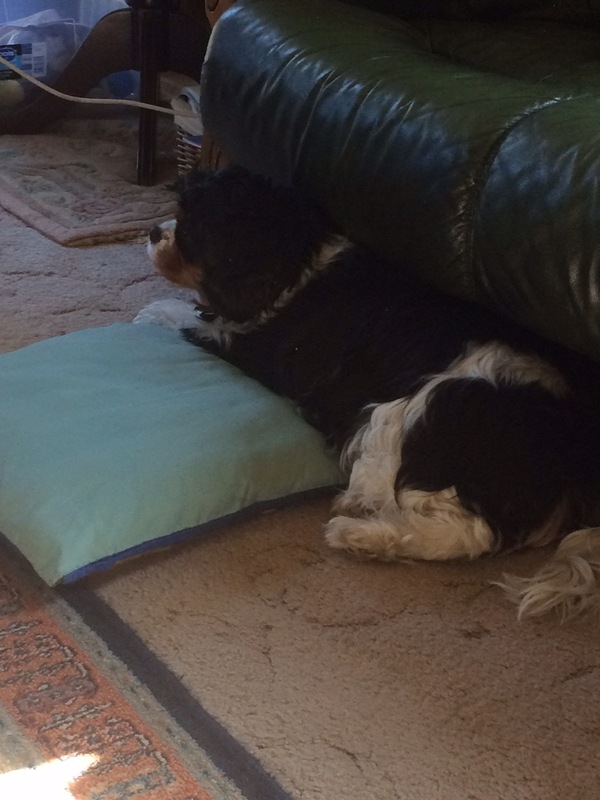 It was so strange not seeing him for 2 weeks as I have been so used to living with him and so seeing him everyday. We went out to weatherspoons in Beccles with his mum on the Saturday evening, and then out for lunch with his dad to the Artichoke in Broome on the Sunday. 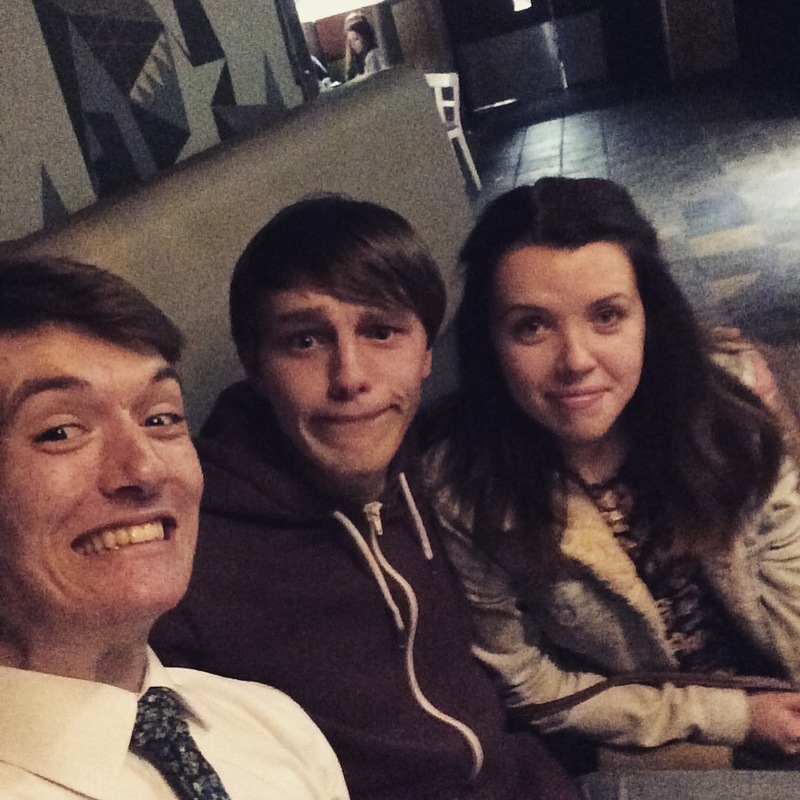 It was really lovely to spend time with Tom's family again as I hadn't seen them since Easter! I would also just like to note that I was recognised by a girl who worked at the Artichoke because she had met me at a recent open day- I felt famous! On the Monday I went with Tom into Norwich on the bus so that he could catch his train back to Sheffield. I honestly cannot remember the last time I got the bus to Norwich! 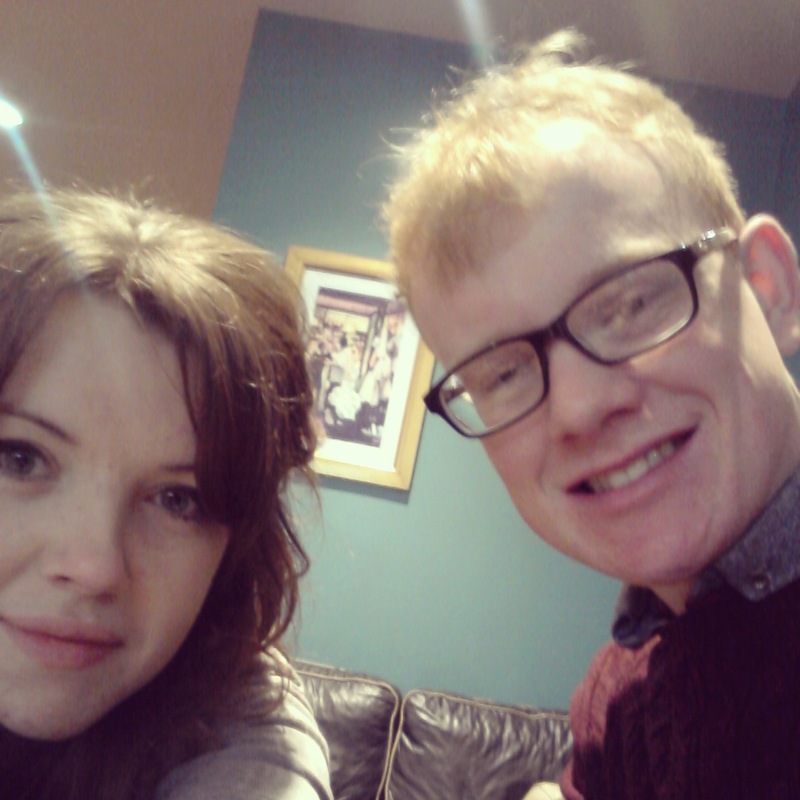 I also can't really remember the last time that we went shopping in Norwich together. 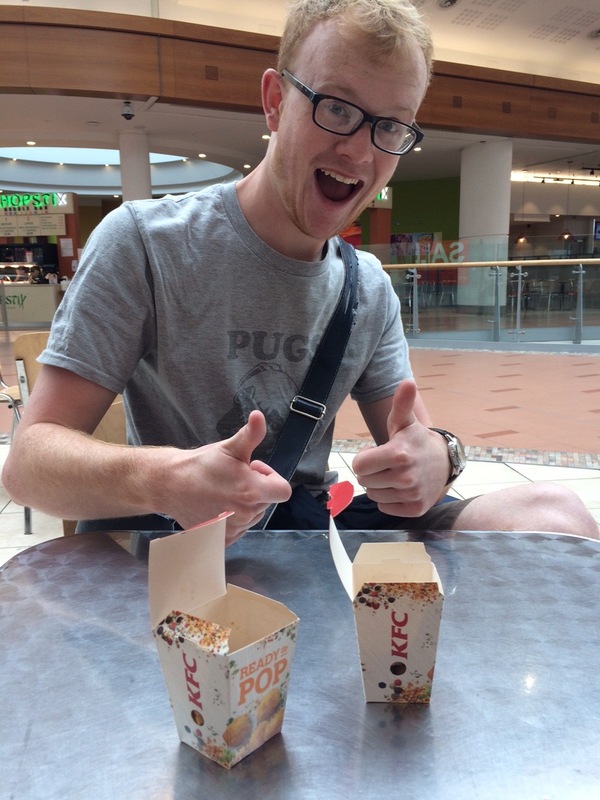 We made a quick stop at KFC for a snack of popcorn chicken, and then for lunch we went to Bella Italia. Bella Italia is great anyway, but recently they've made a special student menu where everything on that menu is only £5. 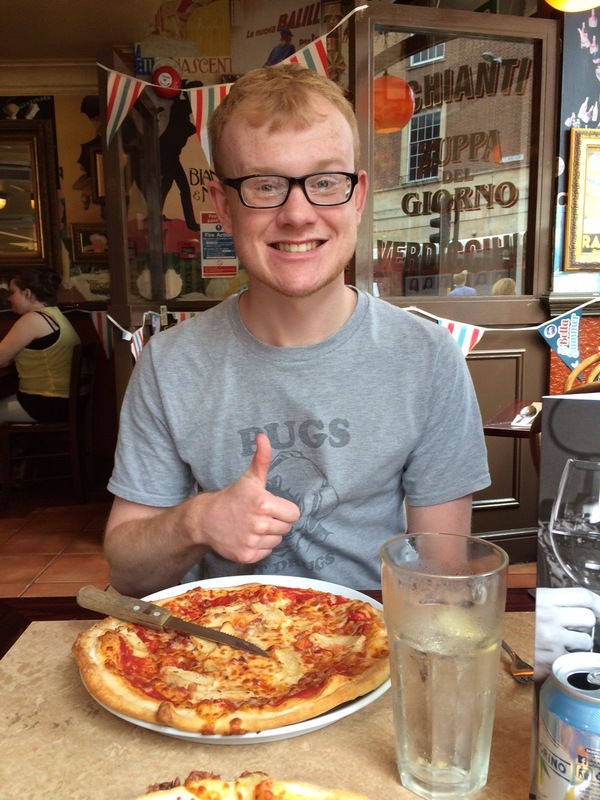 We each had a pizza and it was really sad to have to say goodbye! If you are wondering about our alphabet dates, yes we are still doing them! The last one I talked about was 'putt-putt'. So for Q we played 20 questions (which Tom won) and then on the Sunday when Tom was visiting we had our R date, which was 'Retro games'. We played the Happily Ever After board game (all about finding your prince- Tom won), the Disney Trivial Pursuit board game (of which I won of course) and we also played a game of Wii Party which Tom won! Obviously because of space etc we haven't really got that many games with us in Sheffield, and so I really enjoyed spending time together to play some again! It was really lovely to see my parents again when they returned (and for them to look after the chickens etc again! 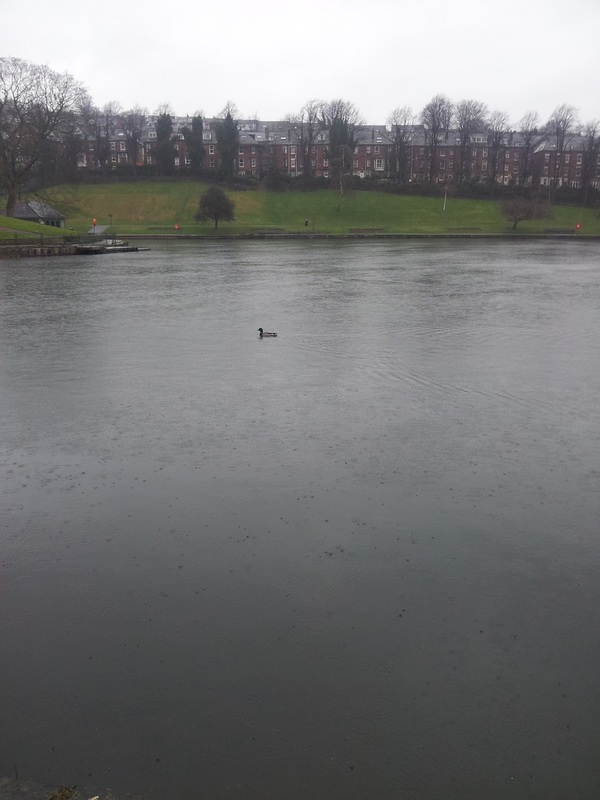 ), but I have now come back to Sheffield for a couple of weeks. I'm still completing my research project and this week I will be doing that alongside work for graduation week! (I can't believe that this time next year I will be graduating). 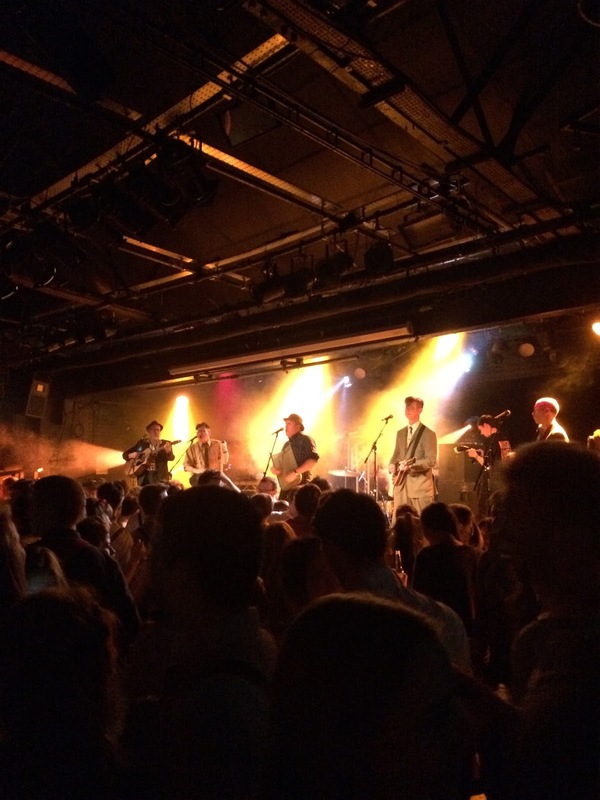 I am also going to Tramlines music festival at the weekend so look out for my next fortnightly catch up blogpost for details on that! You may have noticed that I have just set up a Facebook page where I will be posting all blog-related things, so be sure to go over and like my page to keep up to date! Hello there! I cannot believe it, but as of last Friday I can now officially say that I have passed second year, and will be moving onto my third in September. 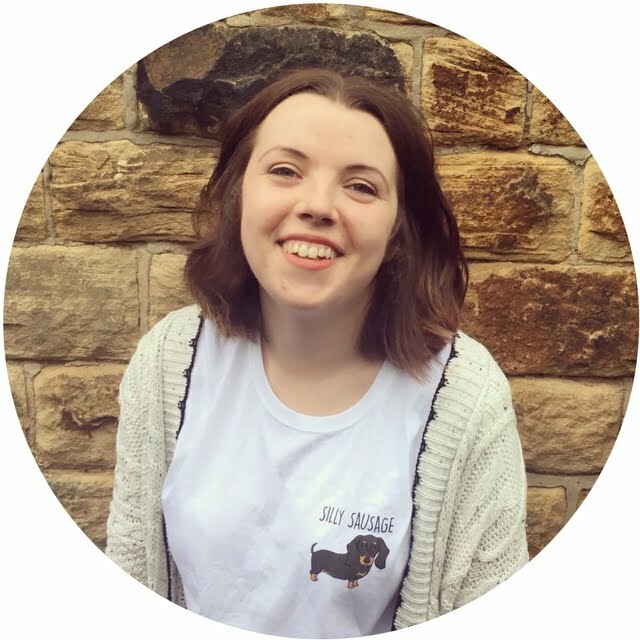 I did a little round up of my first semester in a blogpost, and you may remember that I did two posts last year on the year leading up to University, and starting my first year. This will be in a similar format, where I discuss my own experience of second year (obviously everyone's is different!). 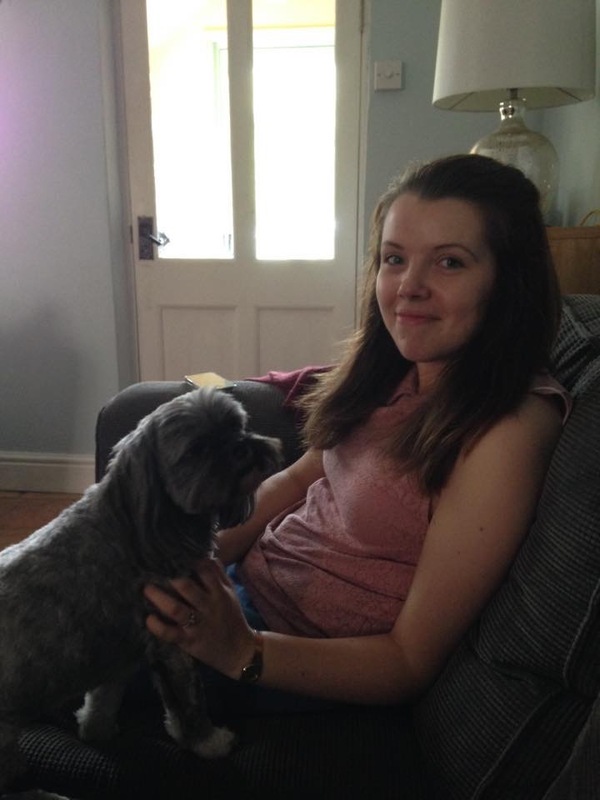 I can tell that this will be another long post, so grab a cuppa and make yourself comfortable. I touched on this briefly after my completing my first semester, but now after living in a shared house for a year I think I can go into more detail! Depending on what set up you had during your first year, living in a shared house may be completely different, or quite similar. In my first year I lived in a flat of 6 girls, where we had our own bedroom/bathroom, but shared the kitchen/lounge area. 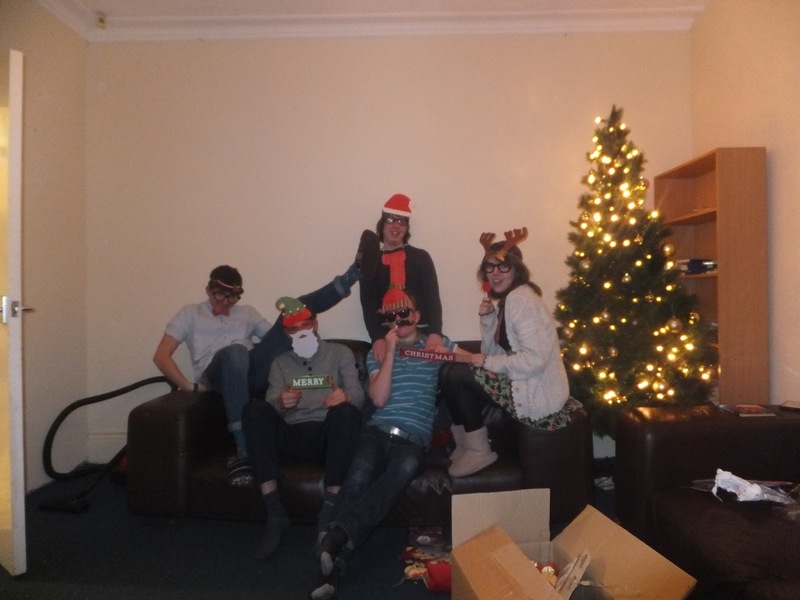 For me this year was different as I live in a house of 5, and I'm the only girl! I know that when I tell this to some people they're really shocked and ask how on earth I live like that, but honestly, there's no real difference to living with girls, as they're still all some of my best friends! 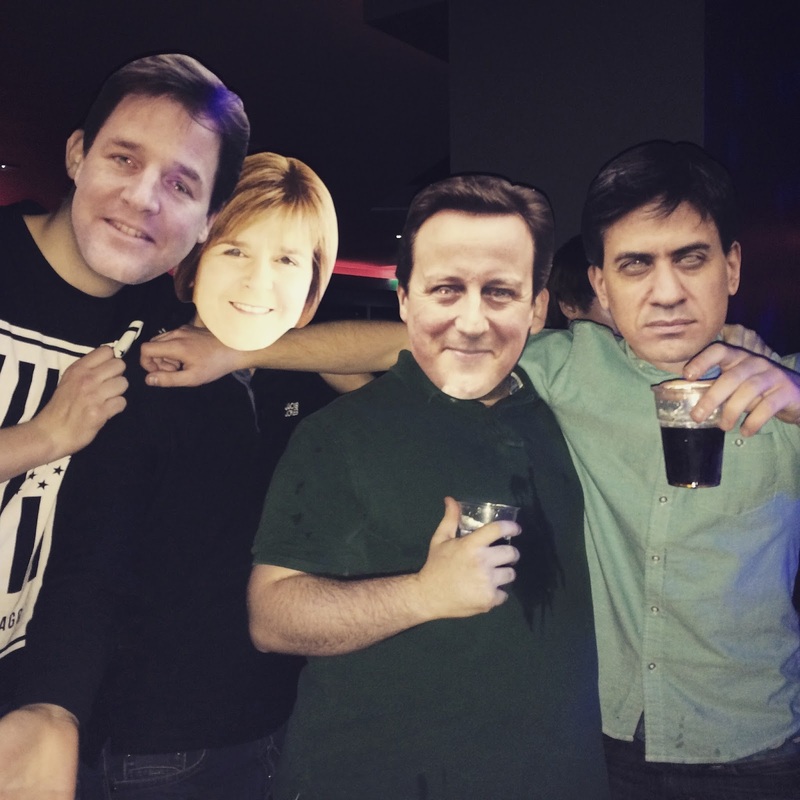 I think if you find a group of people that are like-minded then it doesn't really matter who you live with. We're a house of humanities (2 doing Geography, 2 doing History and then me doing English), and because of our timetables, if you're working from home then you can pretty much guarantee that someone else will be in the house. Compared to last year where we spent most of our time together in the kitchen, being in a house we've used our lounge area a lot more. Instead of having our own bathroom like last year, we do share one between the 5 of us, but this hasn't really caused any problems as people get up at different times/want to shower at different times of the day, so it's worked out well. The biggest change at the beginning of the year, was having to sort out our bills etc, as this was all included in our rent for halls. We've found that it works out better if this isn't covered by just one person, e.g I sorted out our electric/gas, Adam sorted out the internet and Ross sorted out the water. We had a few issues with things like the shower leaking etc at the start of the year, but the landlords were great and sorted these out really quickly. 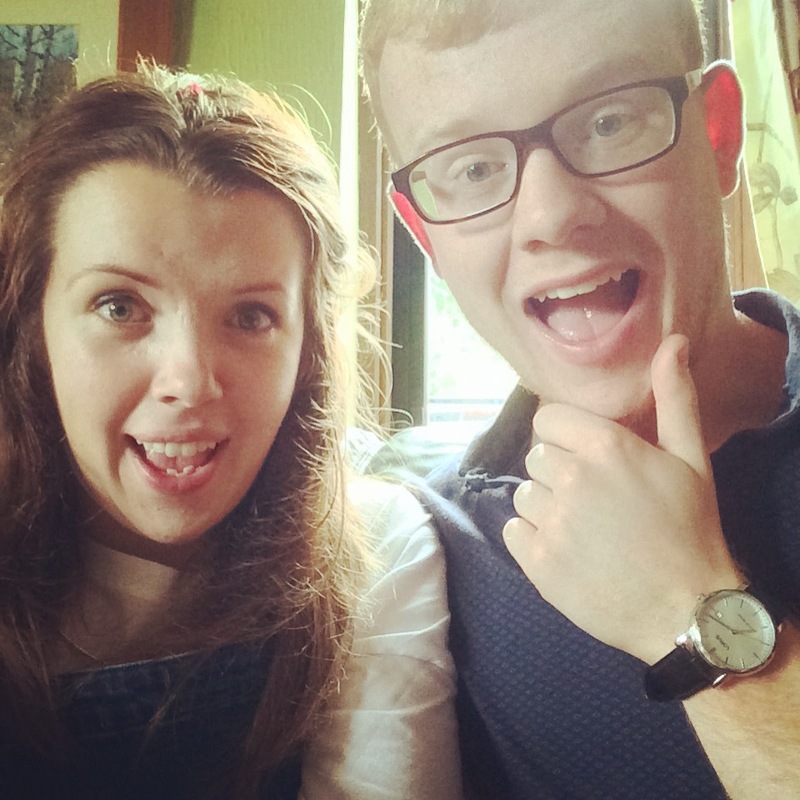 We've worked well as a house dynamic, and we are staying in the same house for our last year, which is lovely as it means we don't have to move! A lot of people I know have been in the process of moving recently, but it's such a relief to just be able to leave all of our stuff out and to not worry about packing up and leaving/sorting out bills for a different house! I do miss some things about halls, but more in a nostalgic way rather than actually wanting to go back to living there. The thing with halls was that you knew most of your friends were only a 5 minute walk away, and that you would always have someone to walk with on your way to/back from uni. 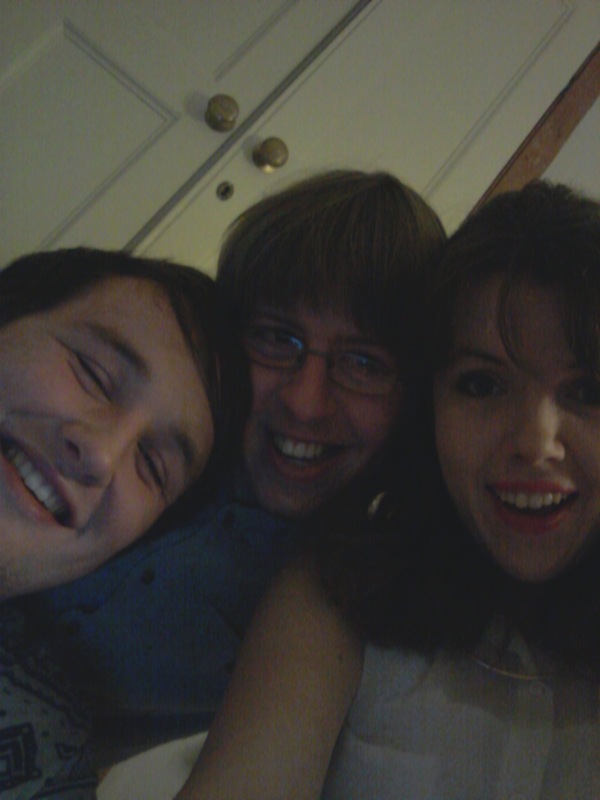 However after finishing first year moving seemed like the right thing to do and I haven't looked back since! Moving into second year meant that all assessments and marks counted towards our overall degree. I think I can safely say, and speak for a lot of people I know when I say this, that second is on a whole other level to first year. Having come to the end of my second year, I really can see how the first year is about settling in and developing the skills that you have, and that come second year it will get a lot harder. As I study English Literature, there is obviously a lot of reading, but when I say a lot I mean a lot. The thing about University is that it's nice to think that all of your modules are counting towards the same thing, because when I did my A levels I sometimes found it hard to juggle different subjects at the same time. However, there's a lot to do per module, and so you still need the ability to juggle your work and to not let it overwhelm you. For anyone about to start their second year, my one piece of advice would be to get the reading lists as soon as you can from the module convenors, and read. There's no better feeling when everyone else is stressing to read a book for a certain week, and you can just relax as you've already read it. I'm not going to lie, I didn't always stick to this very well, but for my third year I'm definitely trying to stick to this idea. Depending on the course there may be modules that you have to take and that you simply don't really have an interest for. I've found that the optional modules for this year (and for third) are not so broad, and so focus upon a set topic more. For example in my first year one of my optional modules was Critical Contexts, which gave an overview to theorist's work and how their theories could be applied to texts. As a topic this was quite broad, compared to the Representing the Holocaust module that I took this year. Still broad in the sense that there was a range of texts and media (books/films), it seemed a lot more focus and so I enjoyed being able to look at different things in a detail that just wasn't available in first year. I don't know if it was the fact of turning 20 last October, or that I moved into the latter half of my degree, but I've definitely felt like I've grown up a lot over the last year. At the beginning this did freak me out a bit, but I've now accepted that I must leave Uni and get a job, and that at the start of next year Tom and I will need to start looking for a house, and that I'll no longer be able to receive student discount (okay I still haven't really accepted that last one). I did a post on not letting fear hold you back in January, and I stand by this. Sure it may be scary to think that this time next year I'll have moved out of my shared house, and that I'll be 'in the real world', but that's okay. It's going to happen one way or another, so just let go and enjoy the journey. One of the major things that has stuck out for me this year, is the amount of opportunities that I have gone for, and how much it's paid off. Do as much as you can, while you can! Whether this be trying new things, or applying for a job that you don't think you'll ever get, just do it. If you don't, you could live to regret it! I look back upon the last year, and think, wow I have actually done and achieved a lot. 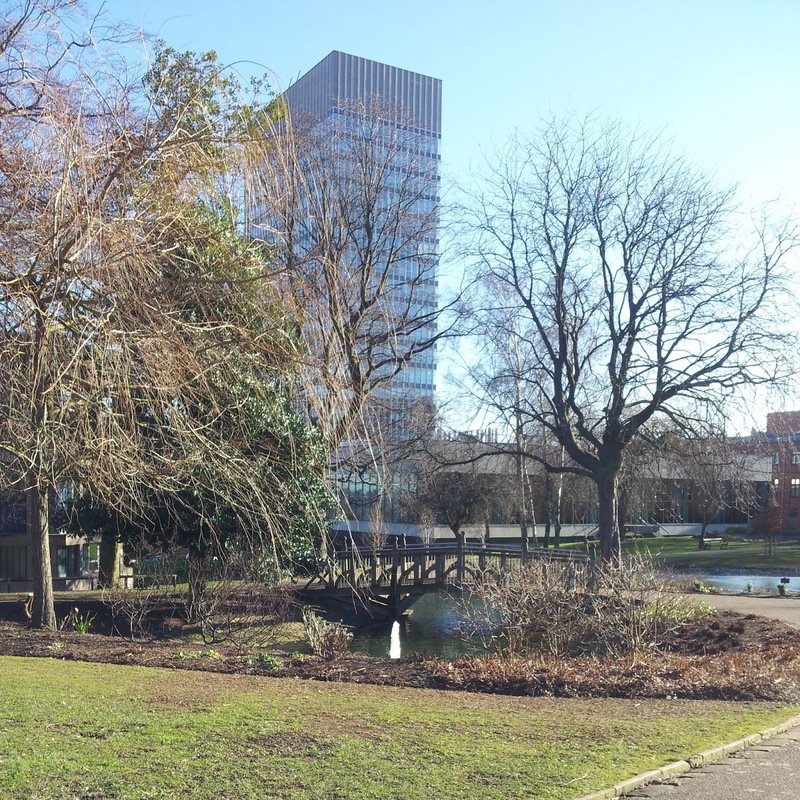 Not only have I done a lot of things in respects of my course, or jobs, but I feel as if I've really got to know Sheffield, and where all of my favourite places to go are. 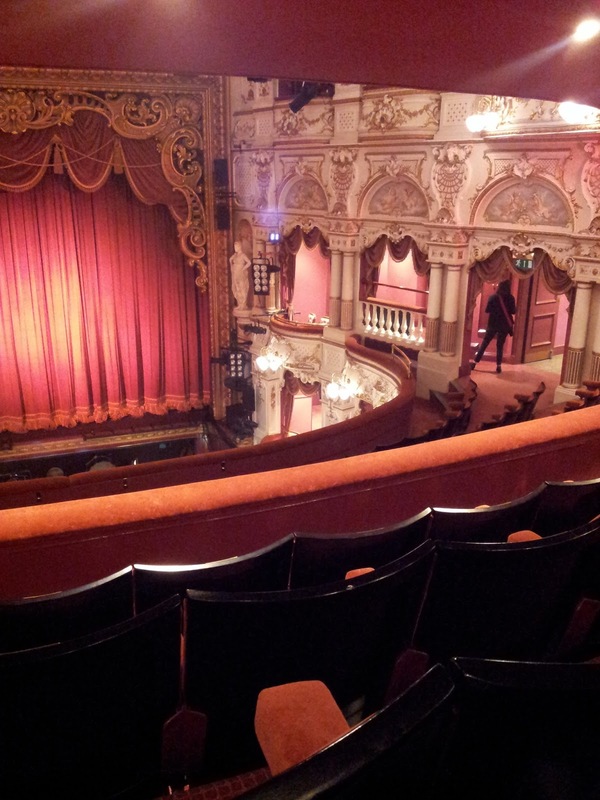 I've been to the theatre a lot more this year and I love it! 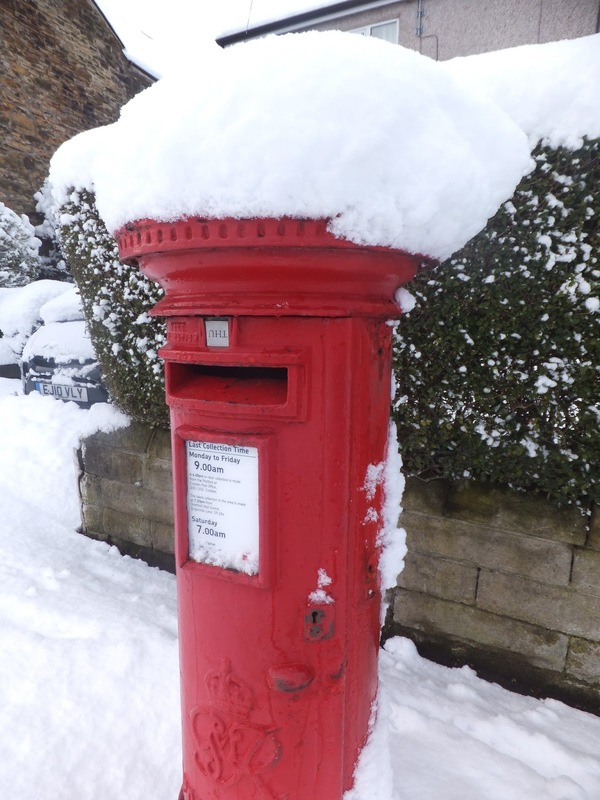 Who could forget the mass of snow in January/February? I finally went to Itchy Feet and had such a good time! 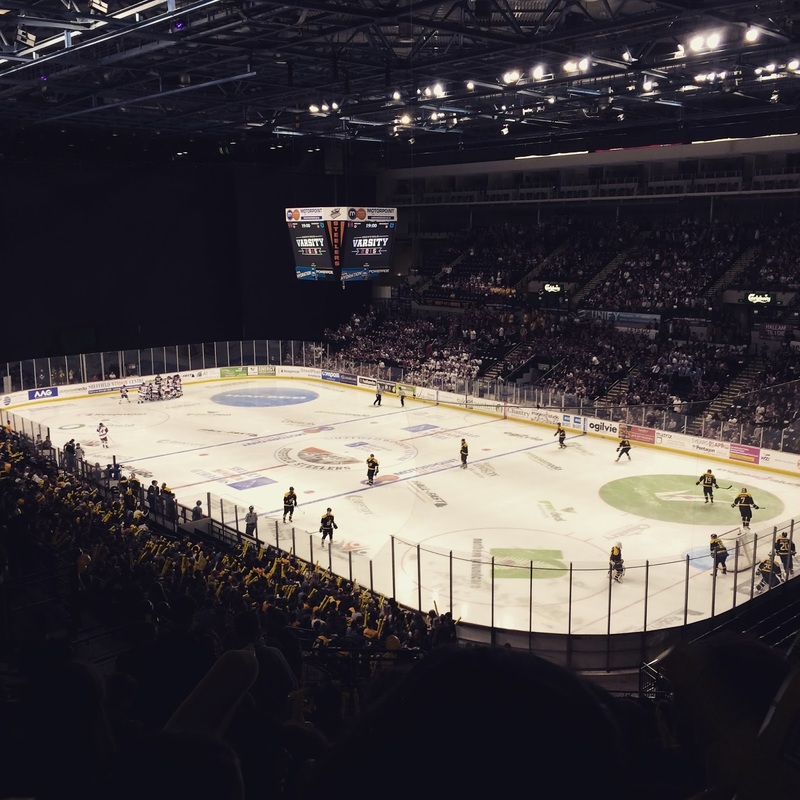 I also went to the ice hockey for the first time and weirdly enjoyed it! I miss Tilly loads but manage to make cat friends on my walks into uni! 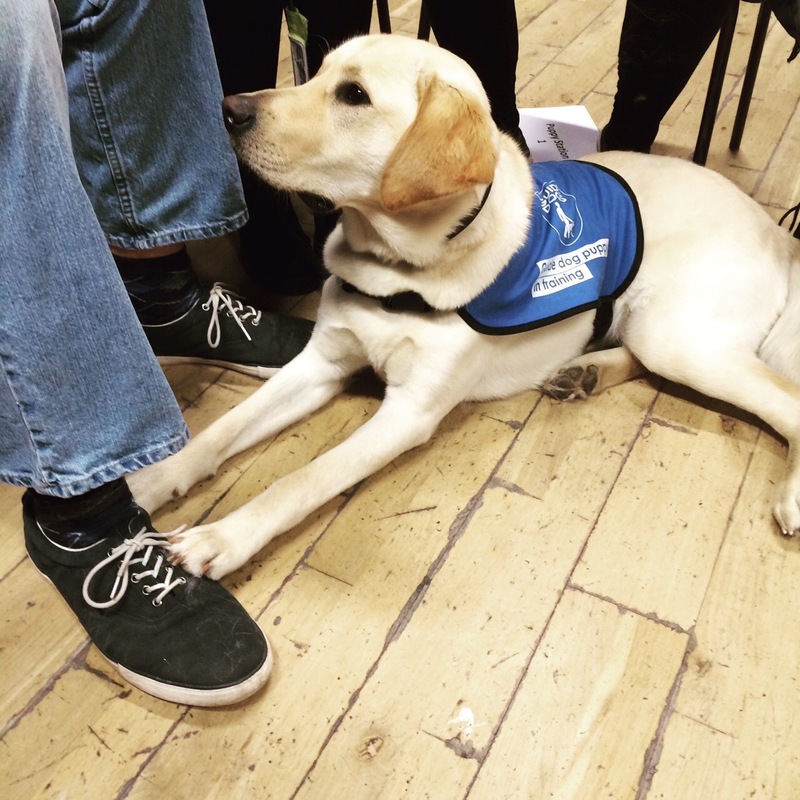 I really hope they do another puppy day next time exams come around! I know I keep saying it, but I really cannot believe that I have now been at University and living in Sheffield for 2 years. On another note overnight I exceeded 10,000 views of my blog, and I just wanted to say a massive thank you to everyone for reading my ramblings! 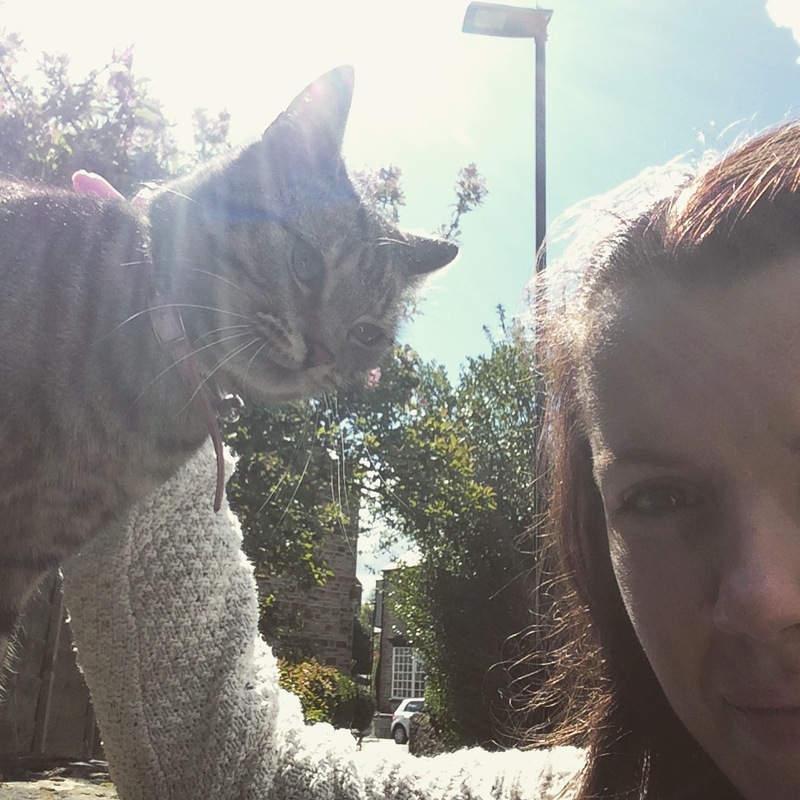 I started this blog as a means to record what I get up to (as I am terrible at keeping a diary) and it means so much that other people take time out of there to see what kind of things I have been up to.